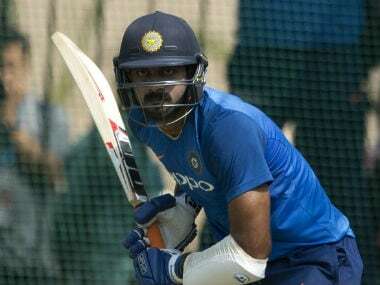 Shankar's biggest competitor could be Ambati Rayudu, who, despite a healthy batting average of 47-plus, is now slipping in the pecking order. Every World Cup is known for left field tactical moves and young Tamil Nadu all-rounder Vijay Shankar could well be the 'joker in the pack' if the Indian team management decides to try him at the tricky number four position in the upcoming World Cup. Heading into the 2019 edition in England, India are faced with the No 4 conundrum and a clearer picture will possibly emerge after the first three weeks of the IPL. The squad will be announced between 15-20 April. However, it has been learned that the Indian team management is very happy with Shankar's technique, and more importantly, his temperament in pressure situations. "Let's get one thing clear. 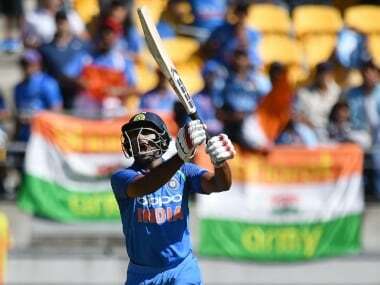 Ambati Rayudu has not inspired the highest level of confidence as number four after his 90 at Wellington. 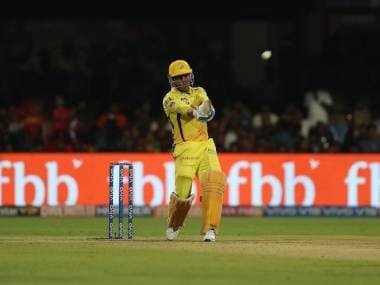 Things can still change if he has a good IPL but there has been a growing feeling that he is uncomfortable against anything above medium pace," a source in the know of things told PTI on Tuesday. A look at Rayudu's ODI statistics reveals that most of his big knocks have come against comparatively weaker bowling attacks like Zimbabwe, Sri Lanka, Afghanistan, Hong Kong, and the West Indies. It is understood that Shankar's big-hitting along with his ability to at least bowl five overs have tilted the scales in his favour. "There are two ways to look at Vijay Shankar's elevation. The pros are that he has the ability to rotate strike and is also a power hitter. 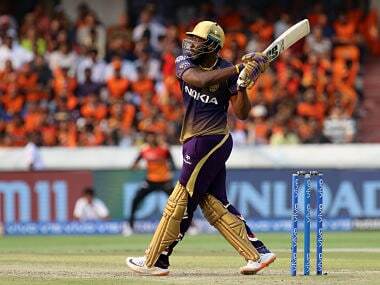 In Wellington, he showed that he can tackle quality swing and has time to play pace. The flip side is only nine ODIs going into the World Cup. Will the team management take that risk? Let's wait till IPL," he said. 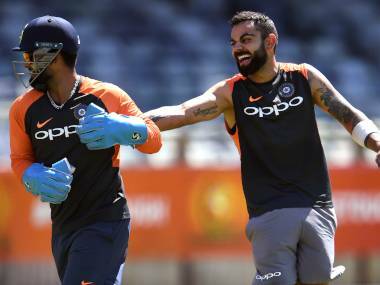 With Hardik Pandya certain to be India's No 7 and one of the designated finishers, Shankar, Hardik, and Kedar Jadhav (at No 6) could share the burden of 10 overs. "We are sorted combination wise. We know our playing XI going into the World Cup. There will be just one change based on conditions. "When Hardik Pandya comes back, he will give depth in batting and also open up options in bowling. We know where we are going. We are clear about our playing XI," skipper Virat Kohli had said after the last ODI against Australia. The alternate arrangement could be skipper Kohli himself coming at No 4 and give KL Rahul an opportunity at one down. India tried that in Mohali during the fourth ODI without much success. 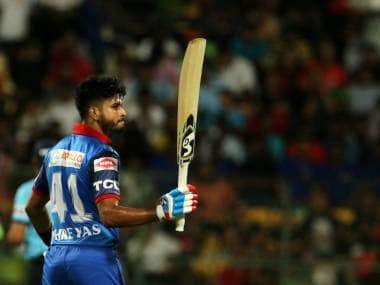 Rishabh Pant is the choice of former Australia skipper and Delhi Capitals coach Ricky Ponting and former India captain Sourav Ganguly. 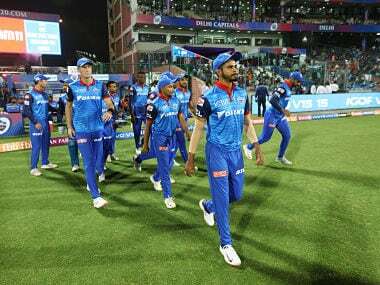 The selectors or Team India's support staff are not travelling during the IPL but they will be keenly monitoring the World Cup-bound players' performances. 3rd specialist spinner or 4th pacer: Ravindra Jadeja or Umesh Yadav/Siddarth Kaul.